This Gumfield is a genuine authentic gumfield in which all the gum holes were dug by hand. 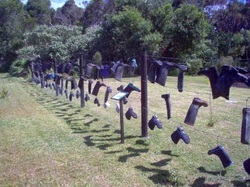 The gum holes range in size from one metre to several metres deep. 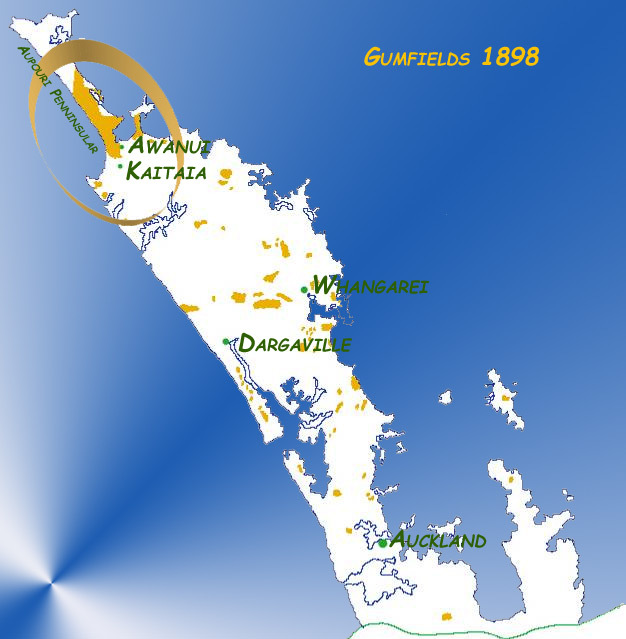 Gumdigging began on this site more than one hundred years ago and was later abandoned around seventy years ago when the gum digging industry died out (due to lack of Kauri Gum). At that time this site was part of area known as the "Kaikino Swamp" which was, itself, part of the "Aupouri Gumfields" which were the largest Gumfields in the country. 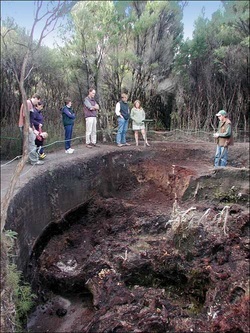 This was one of the last areas where Kauri Gum was dug, some small amounts still being excavated in the 1950s. This gumfield has remained untouched since the Gumdiggers left and the area has been without human intervention for many years. The gum holes are perfectly preserved and many different types can be seen, some with tunnels between them. 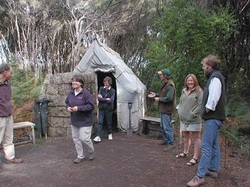 The main track is a thirty minute walk through the gumfield and a recreated "Gumdiggers' Village" and Gum Store. Information plaques along the trail describe the workings of the gum field and displays of working equipment and gumdigging relics can be found at intervals around the walking track. The track winds through native regrowth forest which has reestablished itself since it was burnt to make way for gumdigging/farming and is now, once again, mature Manuka Bushland. The tracks are bordered by rope guides to preserve the natural feeling of the bushlands and to give the visitor and accurate experience of the gumfield itself. A fifteen minute video presentation gives an interesting and informative outline about the history of gumdigging and the ancient buried forests. There is also a lot of in depth information in written form for those whose wish to investigate in more detail. Currently only about 2 hectares of the area is open to the public but in time a further 3 hectares will be opened up as we continue to develop the site. The entire site comprises 26 hectares. Most of the site is covered in gum holes but some have been set aside for continued native regeneration. It wil not be used except by the native flora and fauna. 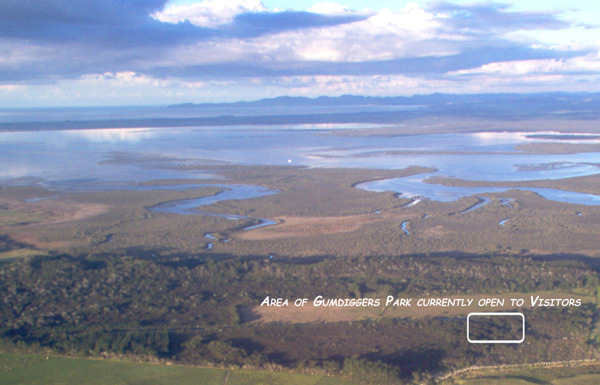 Part of the admission fee at Gumdiggers Park goes towards the upkeep and maintenance of this protected area.